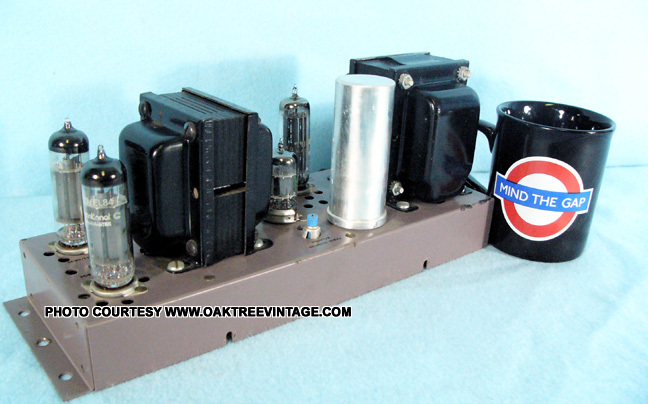 Vintage Tube Amp / Amplifiers, Receivers Tuners used Chassis & Parts for salvage. 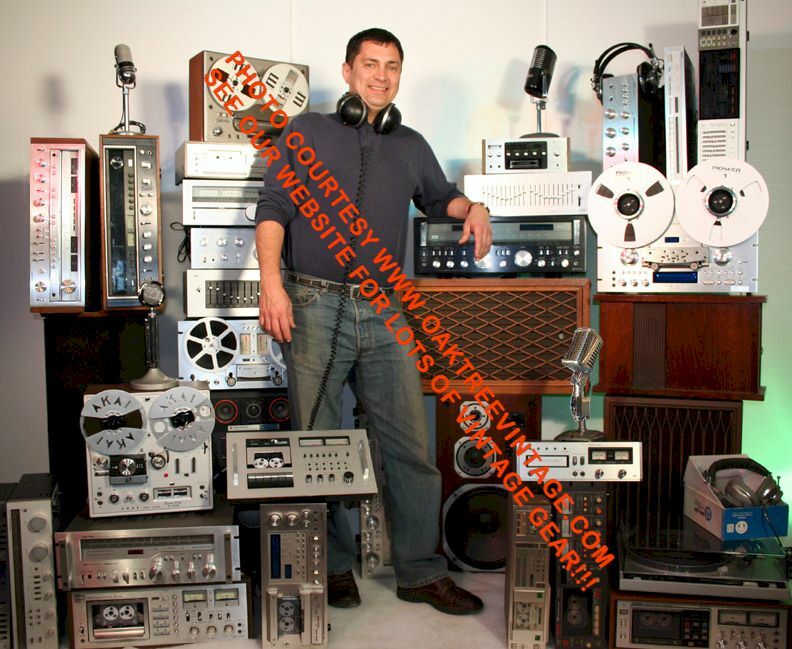 Tube Amplifier / Amp & Tuner Chassis: Vintage Tube Audio Amplifier chassis and salvage units for sale. Most will need restoration / repair work or use as parts. MORE AMPS AND CHASSIS LIKELY COMING! 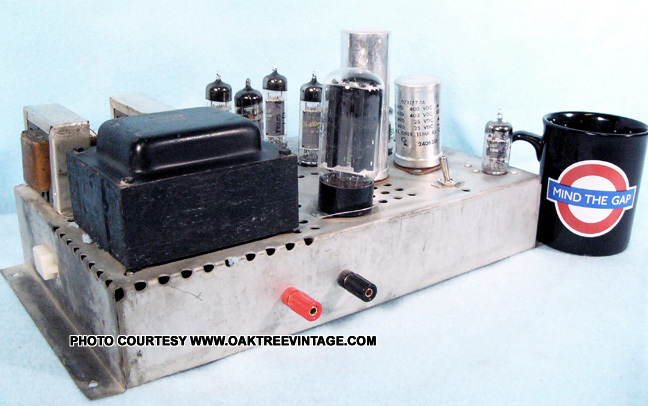 The amp produced 10.6 volts just prior to clip at 8 ohms for 14 watts. We did not test it at 4 or 16 ohms. It draws .85A at idle. Produced perfectly clean sine waves to clip. Amp is in good cosmetic shape as well. Any tubes shown in the photos are not included. Chassis measures 10" x 9.5" x 5.25". 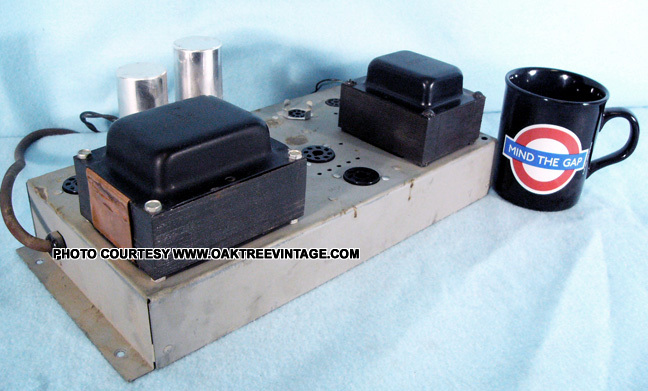 Wurlitzer, Model 7039, Mono-Block tube amplifier. The chassis only has a Primary transformer, and no output transformer? 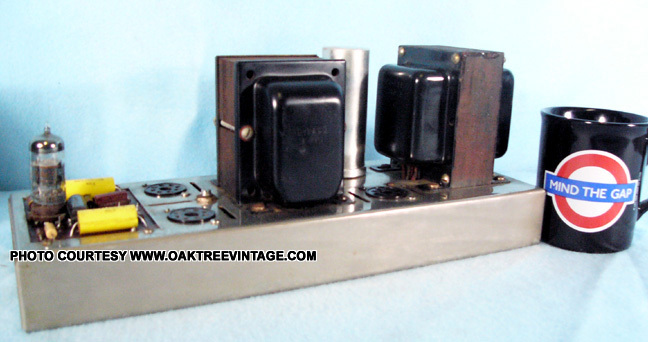 Transformer part number is 114334 / 412922. The 8 tube sockets are as follows; 1x 5U4GB, 2x 7027, 2x 12AU7, 1x 12AX7 and 1x 7025. No tubes are included. We have tested the 3 filter caps with our EDS 88A cap analyzer. & 25mfd / 25 VDC. All caps tested fine. No further testing has been done at this point. Amp is in good cosmetic shape as well. Any tubes shown in the photos are not included. Chassis measures 12" x 10" x 7.5". *Price on any of the above units may increase upon any further bench testing / research without prior notice. 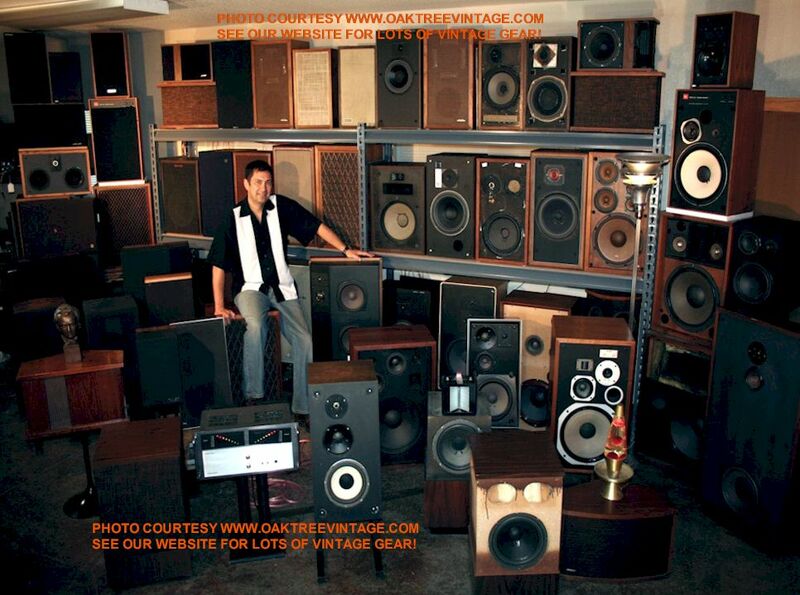 WARNING: Older designed tube audio equipment can be VERY dangerous. Typically the undersides are completely exposed. Operating voltages are commonly 300 to 900 volts! 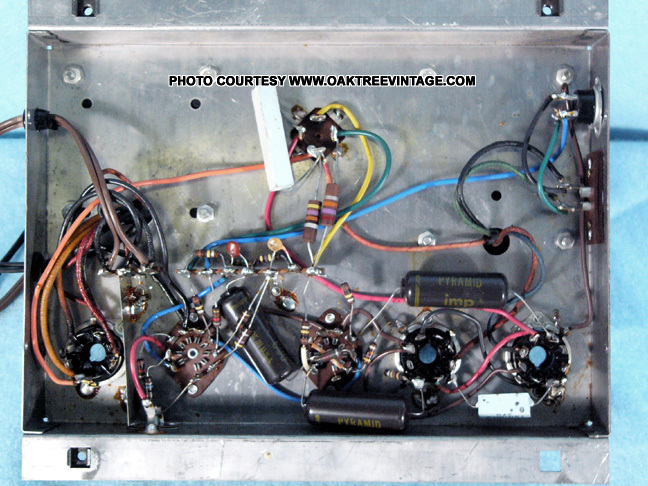 (most modern, solid state audio gear operates on internal voltages of 9-50 volts, and commonly 12v) Internal capacitors can carry lethal charges for years after they have been disconnected from their AC power source. Even carrying a tube unit can be deadly if your fingers curl around the bottom and touch the wrong area. At the least you can get a shock that would likely cause you to drop the unit immediately. Believe me, I've done it. In addition, the tubes are often exposed, and get very hot when operating. Commonly hot enough to melt rubber / plastic wire insulation and certainly hot enough to burn skin. These units generally have no safety / protection circuits built in, with the exception of maybe a simple line fuse. If anything "goes south" on them or in the system they are being used in, they will likely continue to run. This can cause further damage to the unit itself, other components or fire. Much of this equipment has been tested only to a limited degree. The test results posted or listing text should in no way be construed as an indicator of the performance you will experience or as evidence that the unit is ready to use or that it should even be operated under any conditions. Thus they are being offered for sale as collectors items, and as curiosities only for display. The AC cords will commonly be severed prior to posting (except on highly collectible units where greater degrees of originality are valued). They don't make 'em like this anymore for a reason. 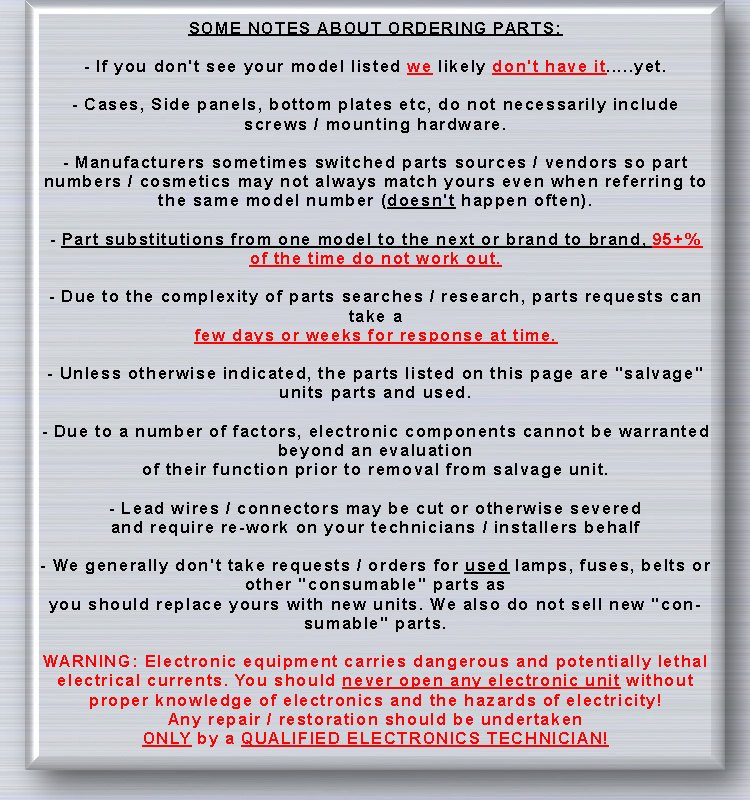 Anyone who plans on actually trying to use one of these or any "vintage" tube unit should have it first checked / modified to a level of safety they are comfortable with by a qualified technician. WARNING: PLEASE USE CAUTION WITH ANY ELECTRICAL ANTIQUE. MOST OF THESE THINGS WERE DESIGNED AND MANUFACTURED WITH MUCH LESS CONSUMER PROTECTION BUILT- IN. THEY MAY ALSO HAVE BECOME MORE DANGEROUS WITH TIME. ANY REPAIR OR RESTORATION SHOULD BE UNDERTAKEN ONLY BY A QUALIFIED TECHNICIAN. 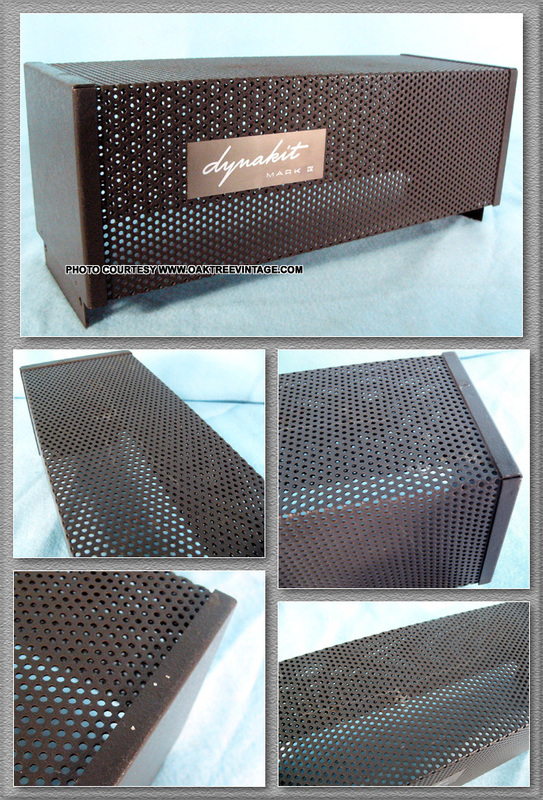 Great condition Dynakit / Dynaco Mark IV tube amplifier cage / cover. Original finish in great condition. No dents, bends or broken welds. Logo intact and excellent. No screws included. It's all a matter of taste: Some old 'tube audio chassis' can be repurposed / re-designed as 'Steampunk' projects. Many of their parts such as tubes, knobs, dials, chassis, transformers etc are from the "Machine Age" with a very 'Industrial' look to them. We may even use a few for some 'Steam Punk' projects around here. All caps tested fine. No further testing has been done at this point. Amp is in good cosmetic shape as well. The tubes shown in the photos are not included. Chassis measures 22" x 6" x 6". 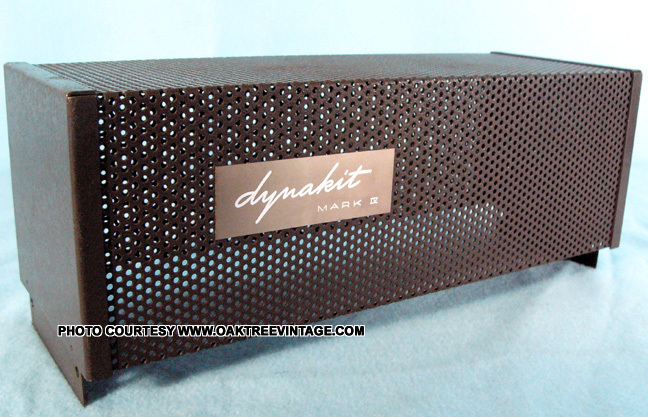 Great condition Dynakit / Dynaco Mark IV tube amplifier. Original brown / bronze finish on cage in great condition. Some typical light surface corrosion to the nickel plating on the chassis. With the exception of the original Dynaco 7199 tube (needs to be replaced as it's weak) no tubes are included. We have tested the filter caps with our EDS 88A cap analyzer. All test fine. We installed our tested "shop tubes" along with the existing 7199 for the bench test. 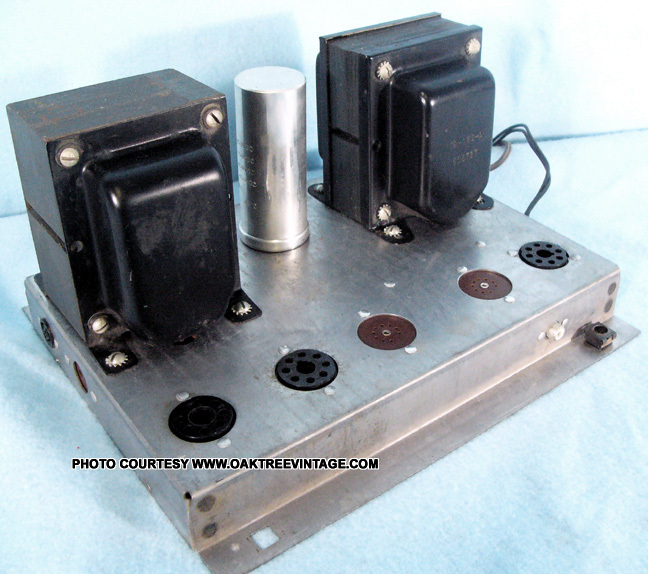 The transformer pretests with 7.4v, 410-0-410v, & 59 VAC (all voltages ground referenced to chassis). The tube sockets are for 1x 7199, 1x 5AR4 and 2x EL34/ 6CA7. 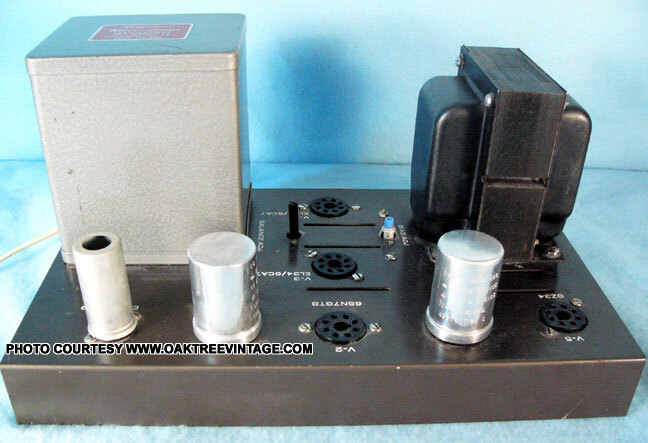 The amp produced 19.93 volts just prior to clip at 8 ohms for 49.65 watts (originally rated at 40 watts). It draws .9A at idle. Produced perfectly clean sine waves to clip. Amp is in great cosmetic shape as well. Sounds great! Comes with original bottom plate and cage with logo. 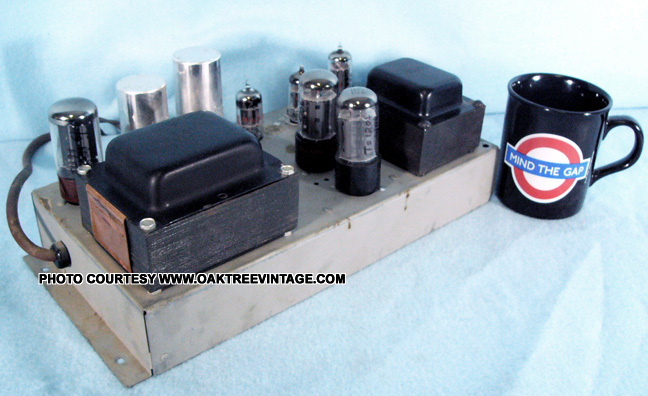 Great condition Fisher 30-A, Mono-Block tube amplifier. Original finish in great condition. We have tested the filter caps with our EDS 88A cap analyzer. All test fine. We installed tested tubes from our stock for the bench test and they are included (no Chinese tubes). Will be old Russian and USA tubes. The tubes are 1x 6CA4 / EZ81, 1x 12AX7 / 7025 / ECC83 and 2x EL84/ 6BQ5 / 7189. The amp produced 10.75 volts just prior to clip at 8 ohms for 14.5 watts. At 4 ohms 8v / 16 watts & @ 16 ohms it produced 15.5 v / 15 watts. It draws .85A at idle. Produced perfectly clean sine waves to clip. We did not test above clip. Transformers are originals. Amp is in great cosmetic shape as well. Quiet and sounds great! The tubes shown in the photos are included. The amp produced 9.5 volts just prior to clip at 8 ohms for 11.28 watts. We did not test it at 4 or 16 ohms. It draws 1.3A at idle and all the way through to clip. Produced perfectly clean sine waves to clip. RCA inputs. Amp is in good cosmetic shape as well. Only issue is that one of the filter caps has a broken mounting flange, so it "lists" to one side a bit. Should be replaced. Any tubes shown in the photos are not included. Chassis measures 14.5" x 8" x 6.25". PS. We had a visitor tell us that he has the same amp and that his sounds great! Thanks for the info Keith. Cardboard surrounds on transformers. Was vari-AC'd over 30 minutes, in 10 Volt increments, and finally left to run for a half hour into an 8 Ohm load. Rated at 20 Wats, from 2 metal 6L6 output tubes. Had small amount of audible 60 cycle hum when turned up past half way. Faithfully reproduced a number of different test tones both audibly and on a scope. Has control pods mounted on the ends of fixed cables. No scratches, dents, rust, corrosion, finish chips, etc. This thing shines. Excellent Shape Cosmetically, needs work?? I have had this for a few years and just got around to trying it out. It is beautiful cosmetically, but it had a past issue with the a filter cap blowing. Someone had put a cap underneath the amp, but I don't think it's wired right and I don't have a schematic or service manual, so am limited as to my repair abilities. I do not know the condition of the transformers. No rust or corrosion anywhere, except residue from the blown cap. The tubes are sockets are 2x 3L34, 1x 6SN7GTB, 1x EF86 and 1x 5AR4. No tubes are included with the amp. Excellent Shape Cosmetically, needs something?? I have had this for a few years and just got around to trying it out. It is beautiful cosmetically, but I can only get very low output from it. I tried different tubes (tested), but I don't think the problem is in the output section. 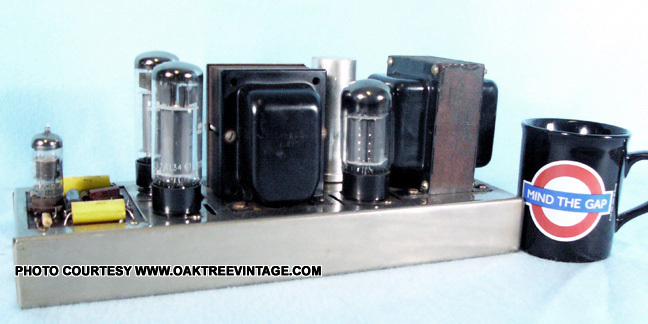 I'm not even sure it is in the solid state preamp section (this unit is a hybrid in that the preamp is Transistor and the power amp is tube, but I assume you already knew that). I can't seem to get a signal much past the input selector switch. Since it is happening to both channels there is likely a single ground somewhere that is not getting a good connection. The tubes are all getting plenty of power and are heating up. I don't have a schematic or service manual, and this seems to be a fairly sophisticated amp, so am limited as to my repair abilities. If anyone has any ideas different than what I have covered I would love to hear them. Might keep it if I could get it going. Again, cosmetically it's "LIKE NEW". No rust or corrosion anywhere and the chrome and glass are perfect. All original knobs intact. The tubes are 4x 7591, 2x 12AU7 and one 12AX7. They are a mix and all USA! If you get the amp going you should probably plan to put in a set of matched output tubes, but the preamp tubes would be fine.